Welcome to LaCaille's famed Five West. 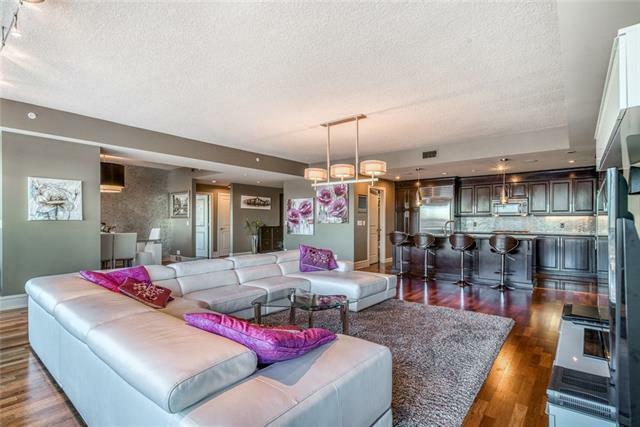 This former show suite showcases the epitome of elegance and sophistication the luxury buyer is seeking. 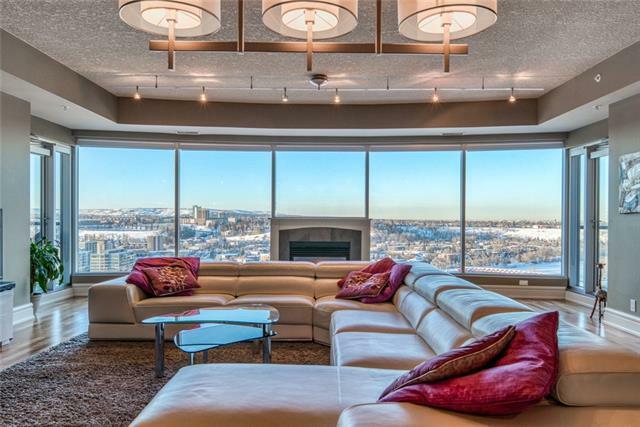 The residence features jaw dropping "forever views of downtown Calgary, Rocky Mountains, Bow River and the Peace Bridge. 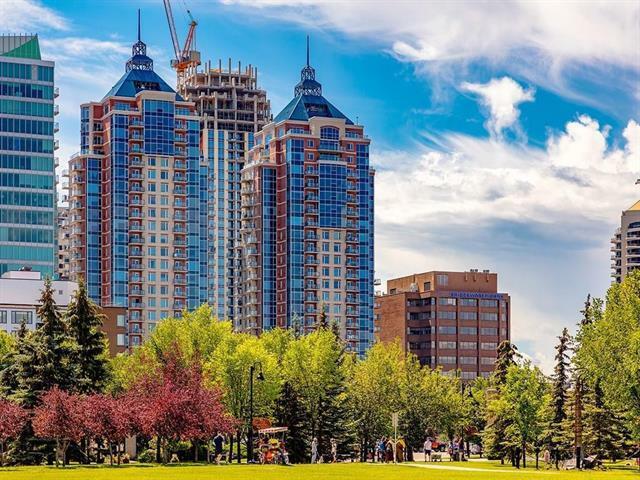 Located steps to the endless pathways along side the Bow River and the Eau Claire area, this unit could not be in a better location to enjoy everything downtown living has to offer. The 2000+ sq/ft home features A/C , 2 titled parking stalls, 3 bedrooms, 2.5 bathrooms, with the optimal layout for entertaining guests and enjoying the sunset from not 1 but 2 patios. 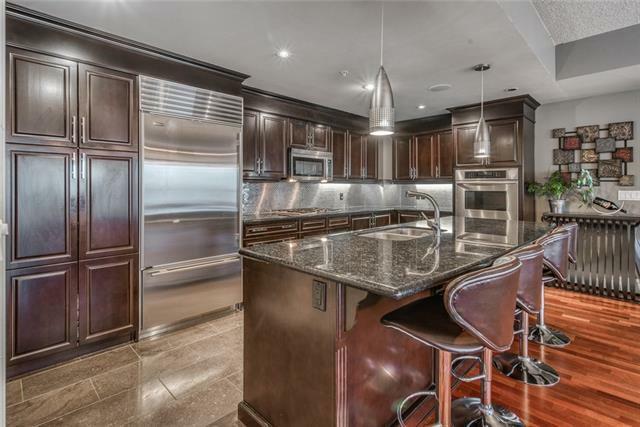 The kitchen features a Subzero fridge and beverage cooler, Thermador gas range and wall oven with granite counters and a walk-in pantry. The enormous master bedroom with sweeping west views features a spa-like ensuite with double vanity, jetted soaker tub, steam shower and spacious walk-in closet. The second bedroom features unparalleled views of the city and boasts its own ensuite.